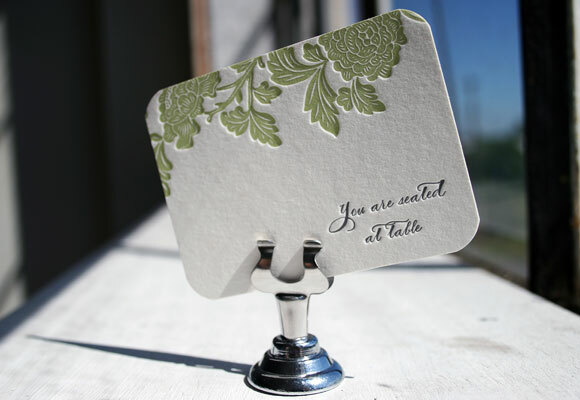 Want to make sure that all of your guests are in attendance for your loved one’s upcoming Bat Mitzvah? 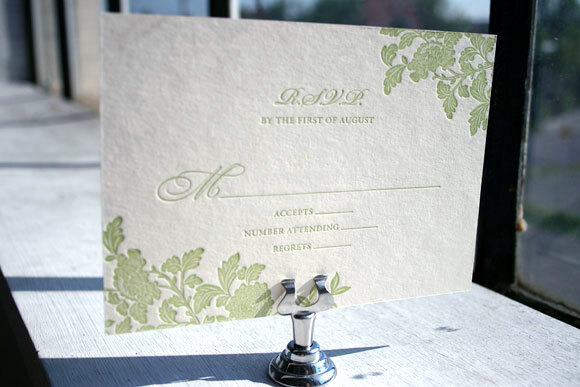 These Piedmont letterpress save the dates ask just that and in a refreshing color combination of ocean and spring the youthful charm is definitely alive. Many thanks go out to Mark Harris Stationers in Newton, Massachusetts for sending us these to print. 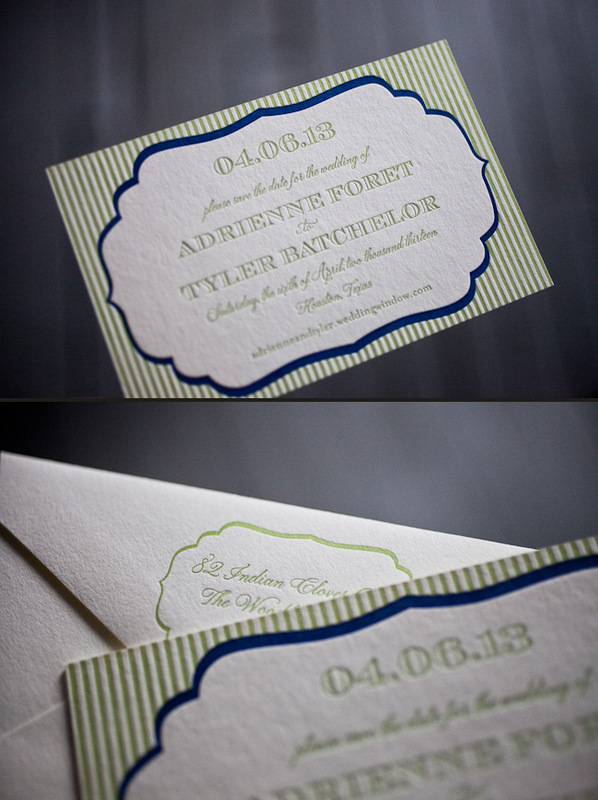 Our Engadine design looks absolutely regal letterpressed in our eggplant and spring inks. 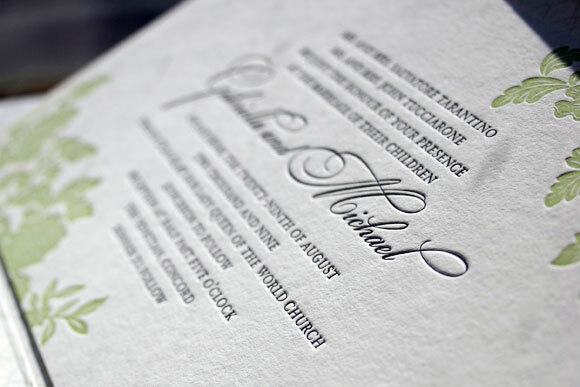 Submitted to us by our friends at Christie in Manhattan Beach, California, we were especially thrilled to see these come off press because this set is pure perfection. 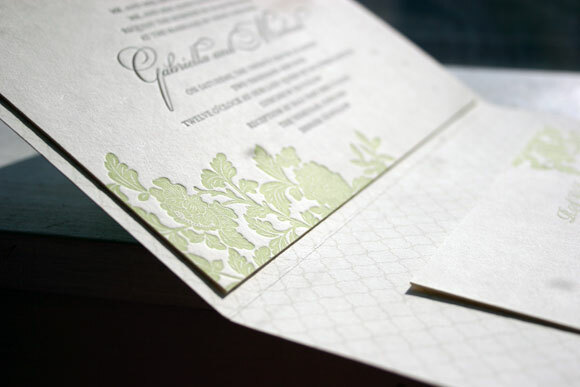 The offset back pattern on the invitation matches the envelope lining perfectly – helping to maintain the modern feel of this suite. 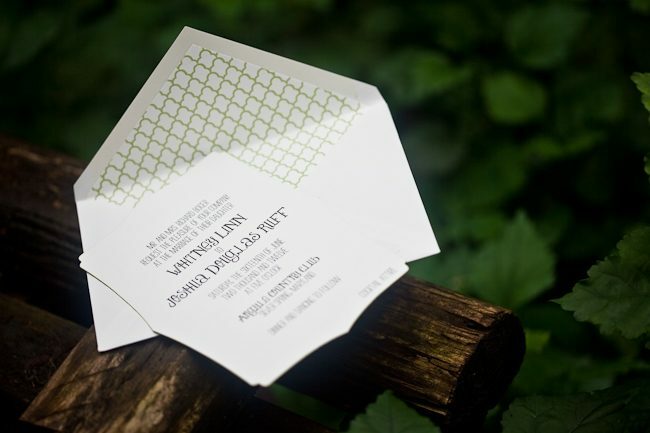 This cool Hekla custom letterpress + offset invitation suite was submitted by our friends at Hitched in Washington DC. 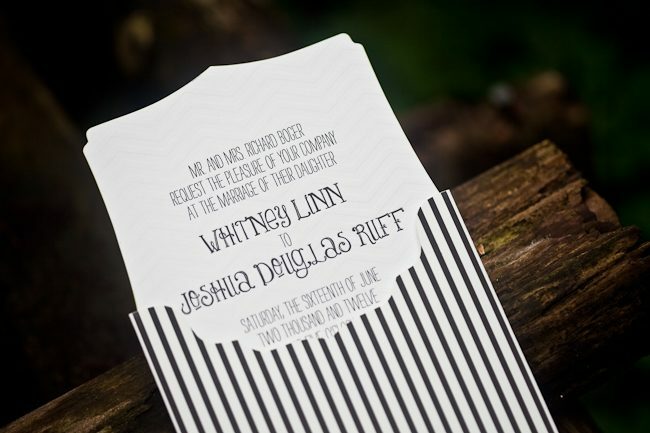 The invitation is letterpress printed on our bamboo 2-ply paper in black with a blind deboss ink that makes it pop. The edge painting in spring and an offset back pattern in black add to the uniqueness of this piece. To top it all off, they decided to go with one of our new chesapeake die-cuts. 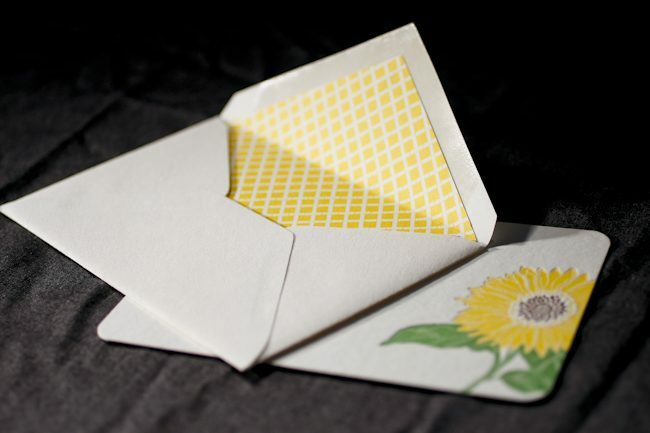 It is accompanied by an outer envelope lined with our ashford pattern in spring. The piece that makes this suite amazing is the custom sleeve – offset with our seneca pattern in black. 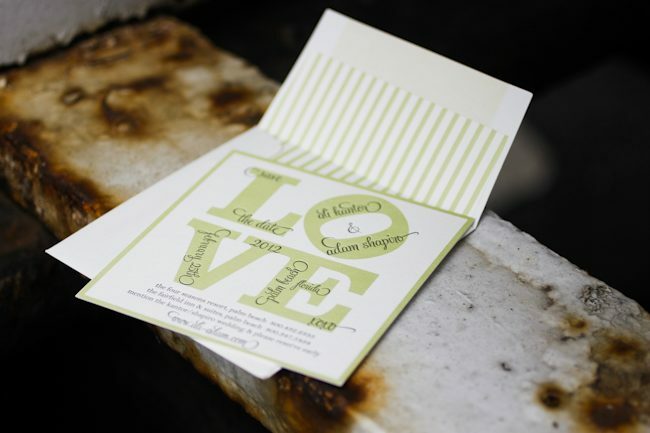 LOVE is in the air with these Offset Save the Dates! 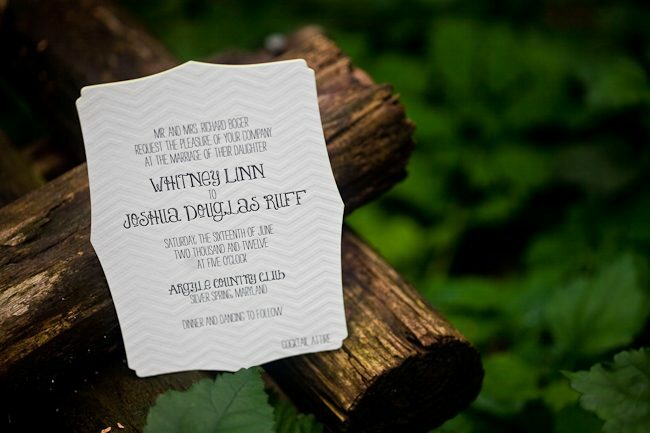 Save the dates should help generate excitement for your special day and these contemporary custom offset save the dates are spot on! The custom artwork for these was submitted to us from our good friends at Papery & Cakery in Boca Raton, Florida these fun save the dates are perfectly personalized. We’re absolutely smitten with the ultramodern and trendy feel of this set. 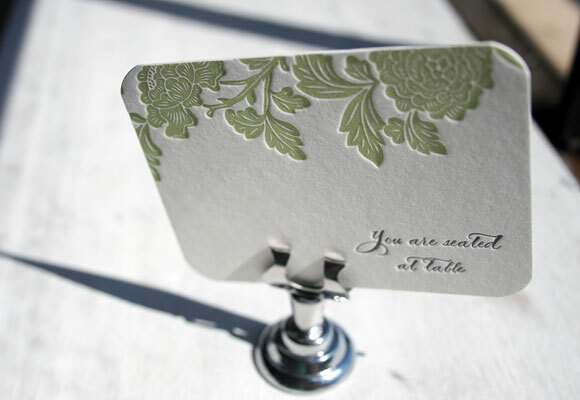 The dark pewter ink helps the spring ink stand out and this color pairing is absolutely enchanting! 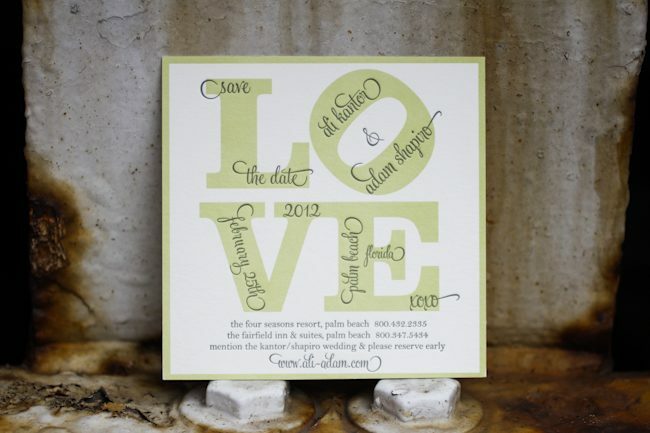 We love seeing save the dates that express style and these certainly do the trick. 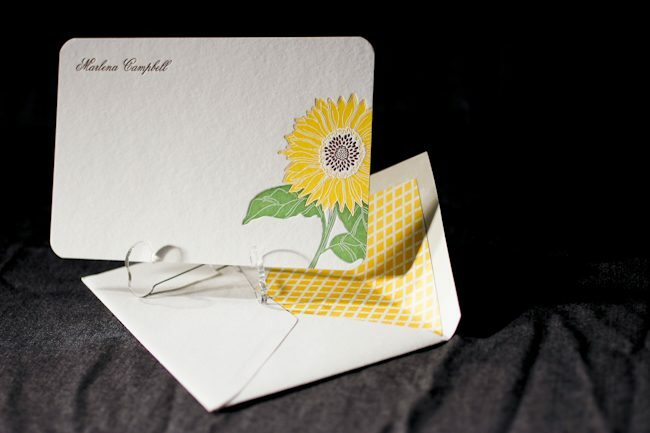 The second honoree in our design contest was sent to us by Ilyssa at Brenda Himmel Stationery. Ilyssa worked with in-house graphic designer Lindsy Aragona to create the custom artwork, and we can’t get enough of these cheery letterpress social notes! 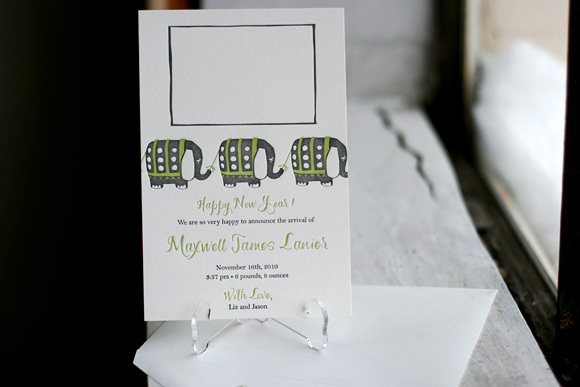 The social notes were printed in 3-color letterpress, and combine our Verbena and Grass inks with a custom ink color that Ilyssa selected. 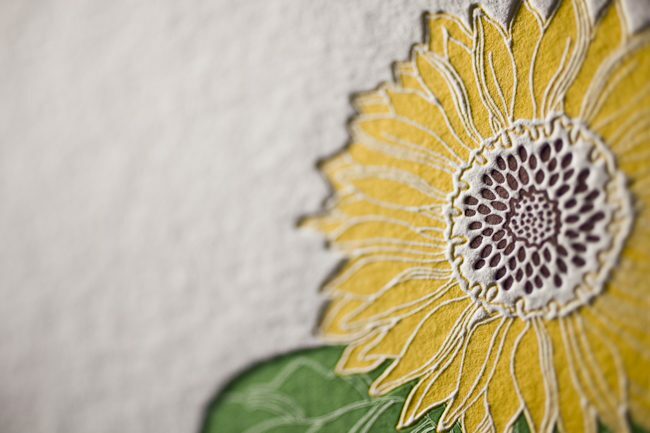 The custom artwork printed beautifully, and pairs perfectly with a coordinating Payette liner, also printed in Verbena ink. 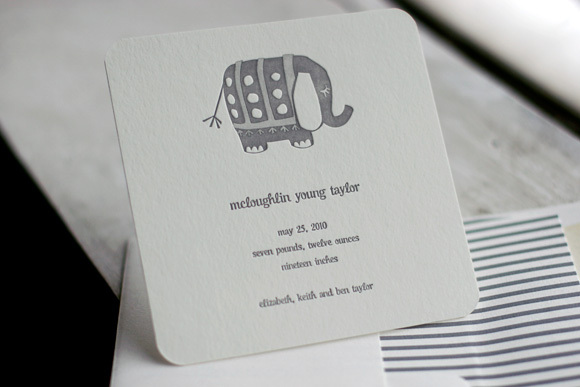 The font selection is a perfect complement to the design and looks incredible in letterpress. This design won an honorable mention in our Smock design competition for the first half of 2011. This twice-a-year competition recognizes outstanding and inspired designs submitted by our beloved dealers. 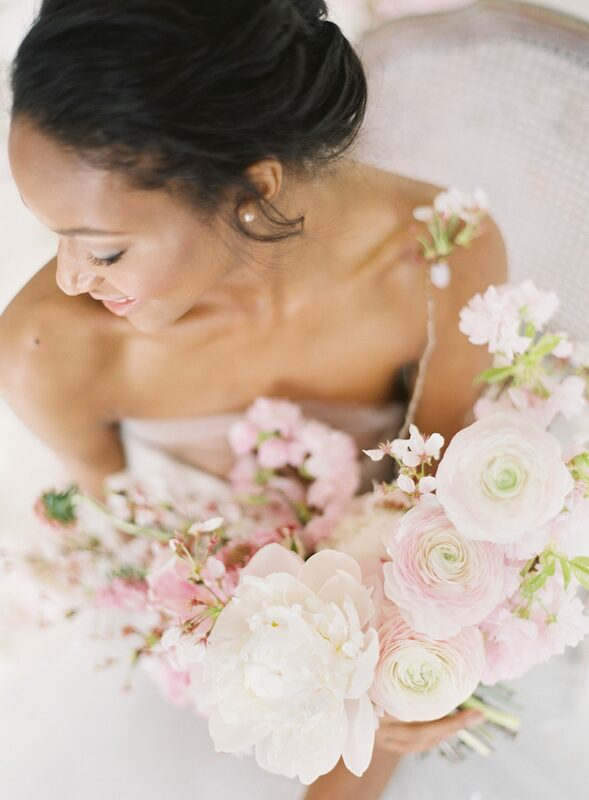 In celebration of spring and the upcoming Easter weekend, Smock’s creative director Amy Graham Stigler shares a few of her favorite things about spring with us today. 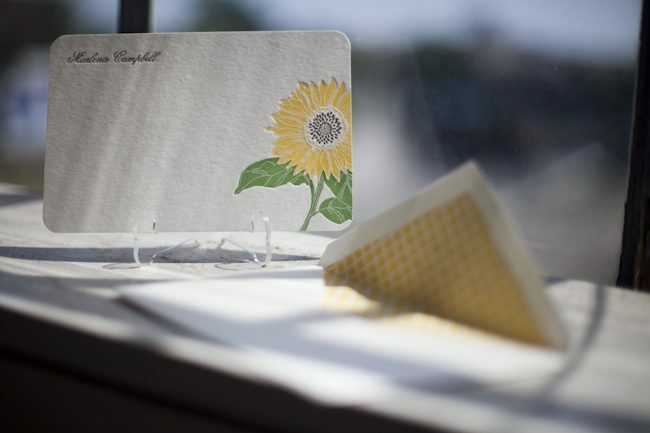 We’re feeling completely inspired to start our spring cleaning and planting now. How about you? 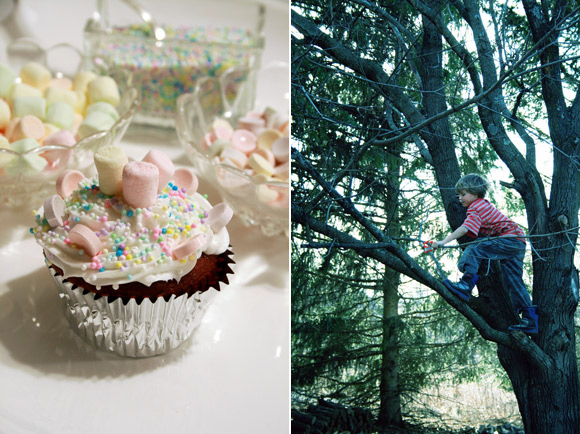 Spring is my favorite season (when it cooperates) so its hard to narrow the field of things I love best. 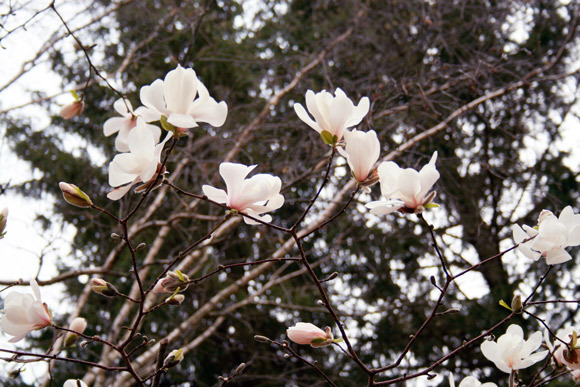 So here are a few things: I LOVE the light and early blooms and freshness of the air. I LOVE that I can run outside without worrying about ice and snow and frigid temps. 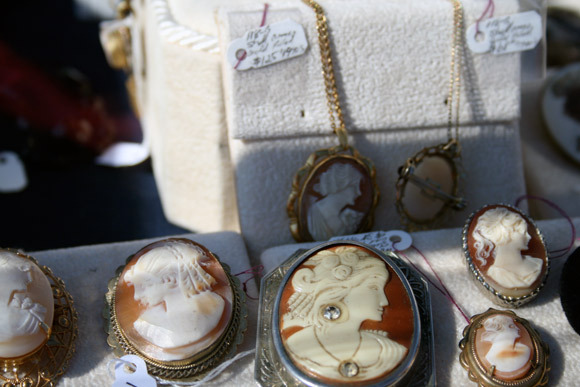 I LOVE that the markets resume (flea and farmers). I LOVE that my kids are either on a bike or in a tree. I LOVE our magnolia and apple trees that absolutely explode with flowers and fragrance. For Easter, we always start with an Easter egg hunt. The kids each get a basket with a few goodies and then go searching for sweets and eggs, which we dyed the night before. If weather permits the hunt continues outside. 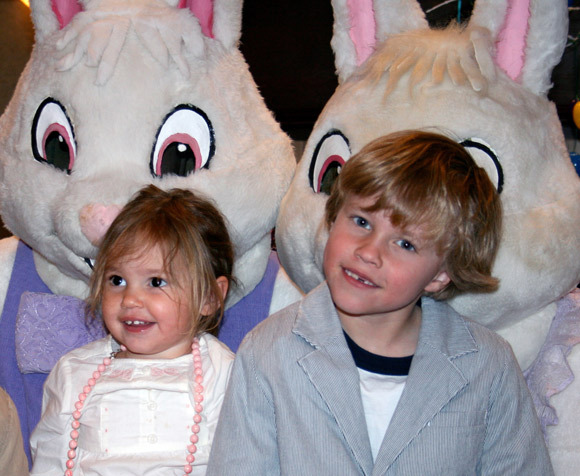 And we always do brunch with the Easter bunnies that the kids still adore – even though they are ‘on to them’. 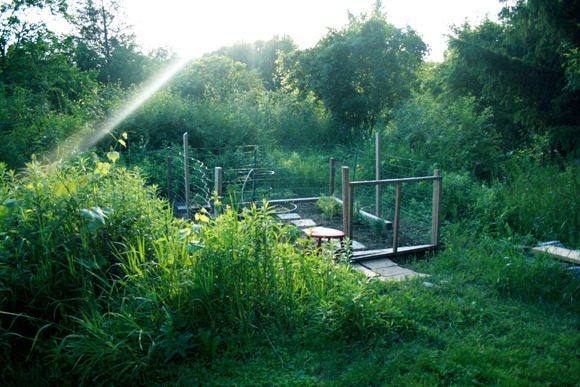 We start to reclaim our yard and prepare our vegetable and herb garden. 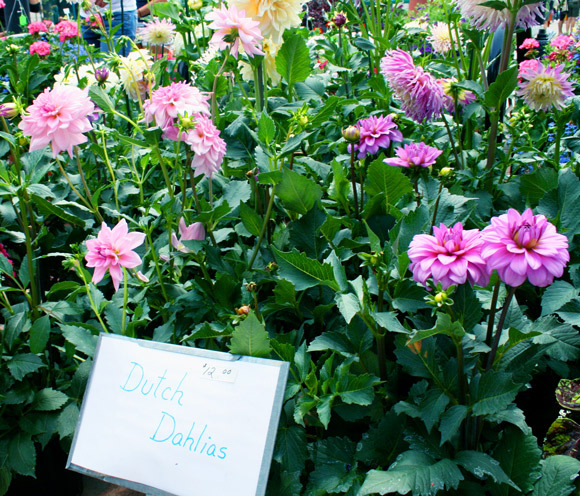 We start frequenting the farmer’s markets for herbs and flowers to plant and early edibles. We start our weekend family hikes on the many trails in our area. And my husband and I try to fit in a ‘date trail run’ at least once a week. Casual dinner parties with friends and their kids is our favorite way to entertain so in the spring we just tweak the menu and decor to fit the season. The vases are filled with tulips and daffodils and other happy spring blooms, the menu gets a bit lighter, such as a seasonal soup and a salad, and we always hope that some portion of the evening can be spent outdoors. Of course, decorating cupcakes or sugar cookies with pastel candies is always a sweet way to end the evening. 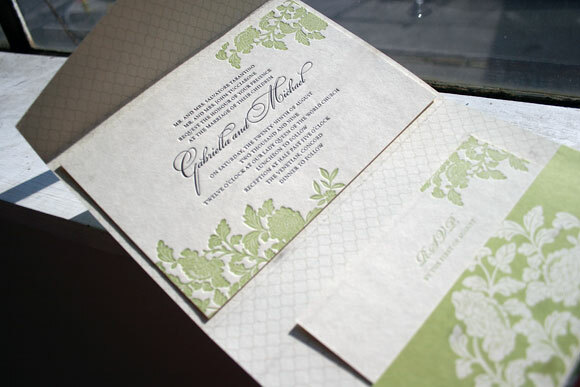 Continuing with the amazing customizations that were honored as winners in our Smock Design Contest, this incredible Rhon letterpress invitation with custom folio was brought to us by our friends at RSVP Studio in Toronto. 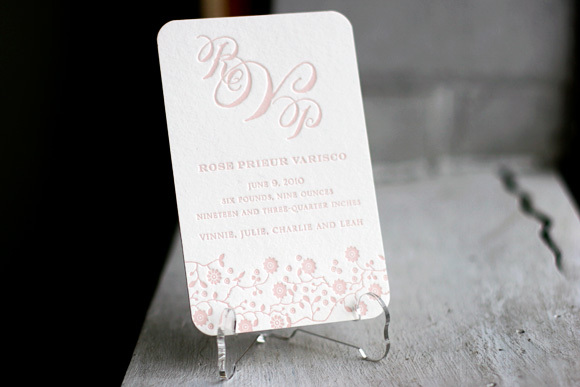 Using a horizontal orientation and spring and sand inks, it’s a design that is fresh and fun, but also amazingly elegant. 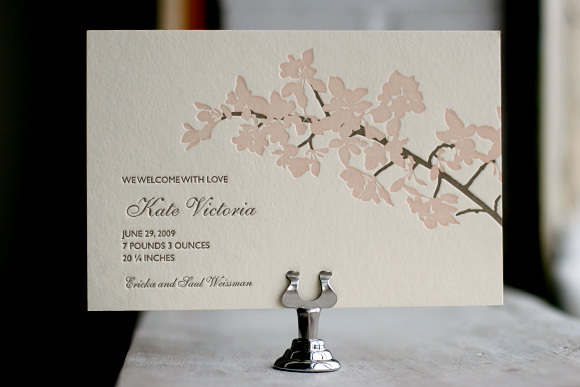 While the invitation itself features spring and black inks, we printed the letterpress reply card in 1-color, making it a more budget-friendly option without sacrificing a bit of style. 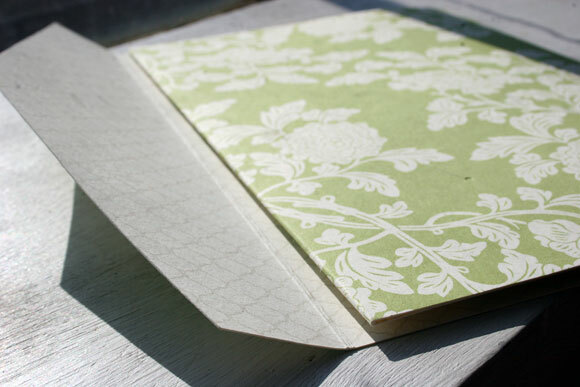 We love how pretty crisp spring ink looks on our ivory bamboo paper! The folio features our Rhon motif in spring on the exterior with a really sophisticated use of our champlain pattern in sand on the interior. 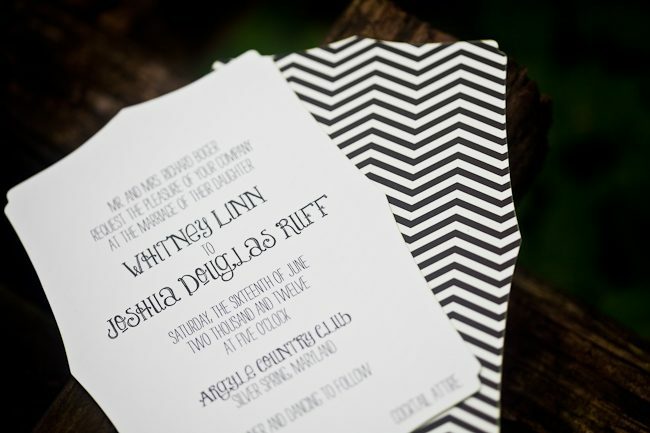 This chic combination of patterns and ink colors really made this customization stand out from the crowd. As always, thank you to the folks at RSVP Studio for this amazing customization! It’s always so very exciting for us to see what our amazing clients and Smock stores dream up!